Another sample of our breakfast....it is never the same! We rotate our breakfast offerings every morning. 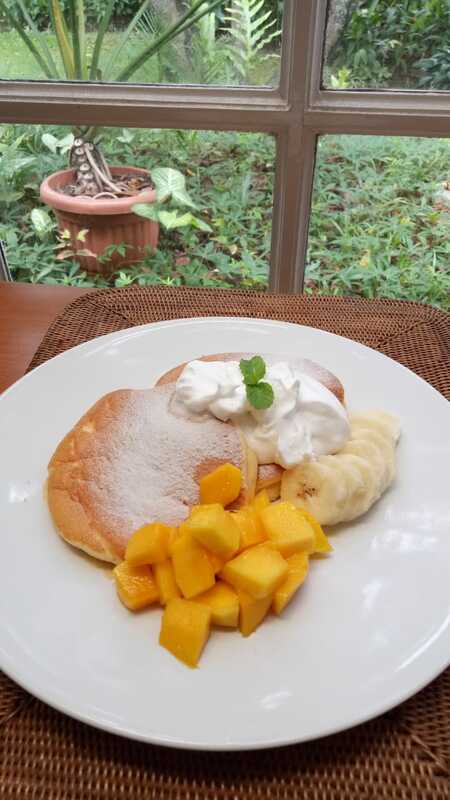 Fluffy Japanese Pancakes topped with fresh mango and whipped cream! We are growing basil. 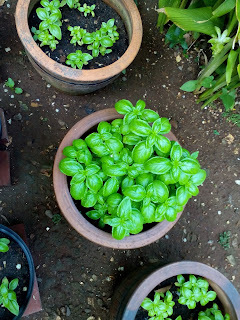 Some of our dishes, especially the soups call for basil. 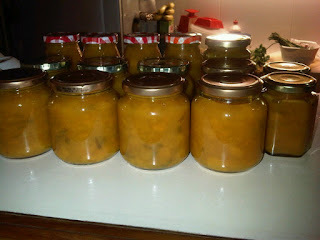 Another batch of mango jam to be served to guests in the morning with their homemade bread. 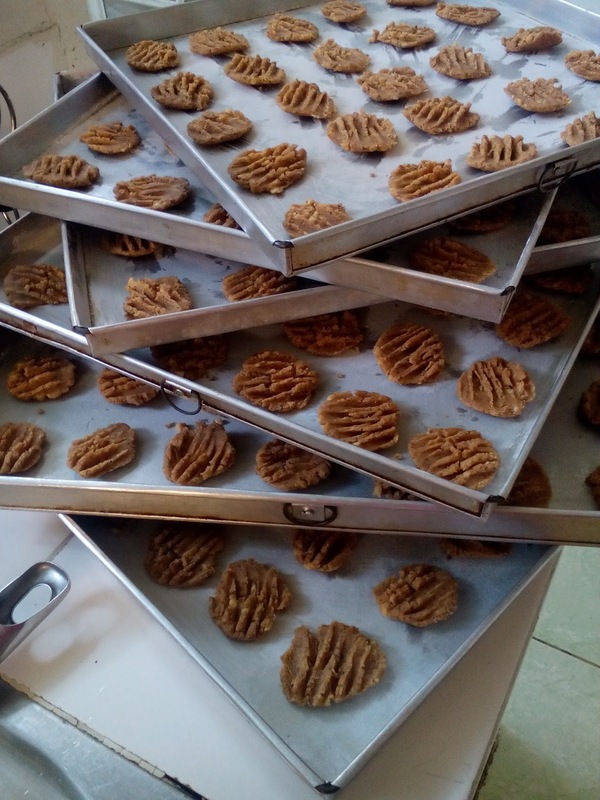 Peanut butter cookies usually served with fresh brewed coffee! 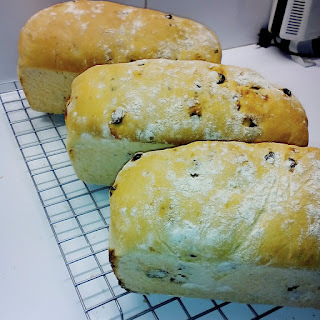 Our raisin cinnamon bread....yum....its like a cinnamon roll in form of bread! We are now making homemade yogurt when it has been requested. Gee, its been a long time since I've made any comment here. Did you know we serve a locally grown red rice (also known as our own local "brown rice"). It is packed with lots of minerals and vitamins unlike white rice, which is empty of anything but starch and carbs! And by the way, the rice we use is much more expensive than white rice...a few guests have asked if its a cheaper grade of rice! Imagine that. We do our best to provide health supporting good and tasty food. Well our morning baked goods are truly naughty but well, when on holiday or away from the home on business, one must indulge a bit too! We made scones today, were really good! Shown with the kaya spread we made the other day. 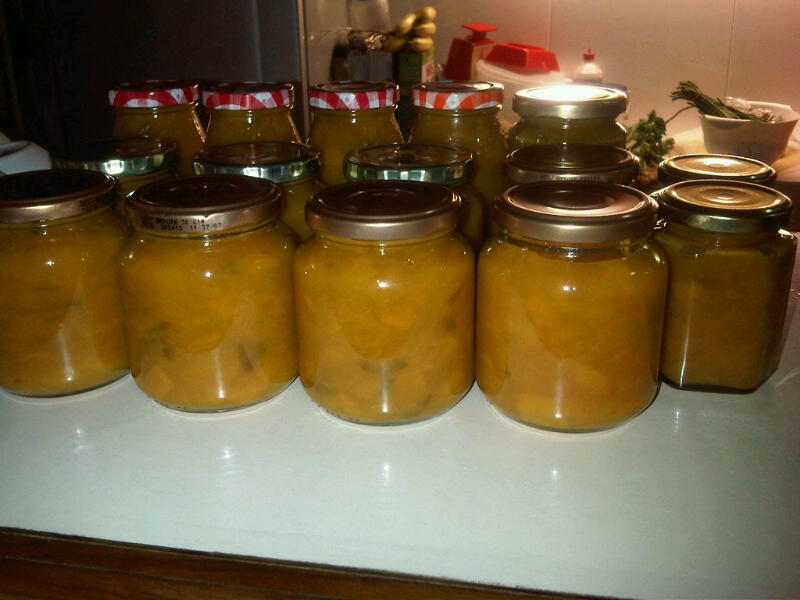 Today is Pineapple Jam day, and Mango Jam day....we are cooking up a storm today to make new homemade jams for our guests. 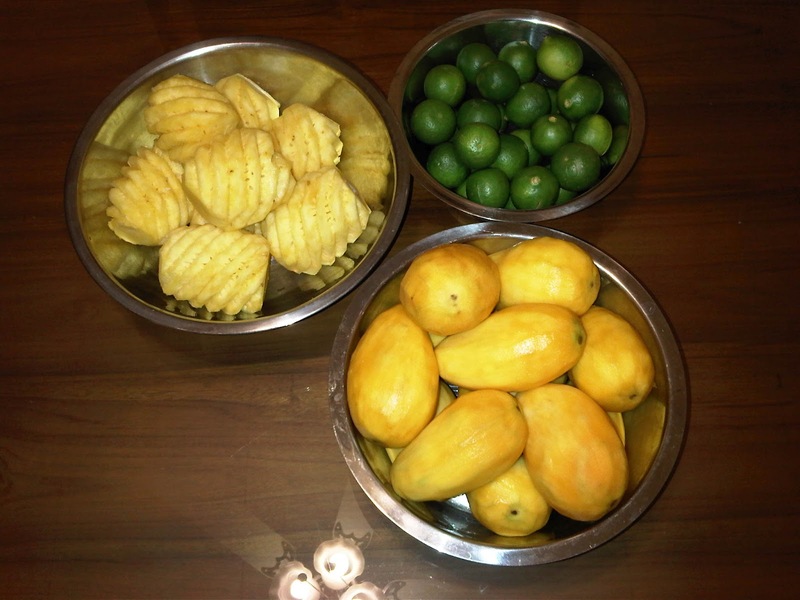 Unfortunately mangos are not in season, at least there are no mangos on our trees now so we had to purchase mangos and pineapples from the market. 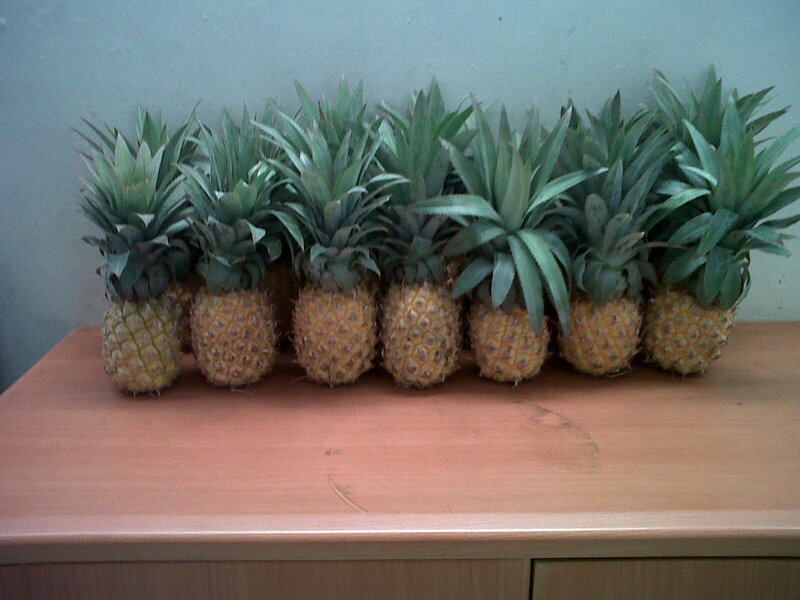 The pineapples are directly, literally from Central Java, hand carried over night directly from the fields and are as fresh as we can get! Mangos and Pineapples peeled, ready to chop and cook! And now for the final product....homemade and tasty! This Walnut Apple Crumble Cake tastes as good as it looks! Anyone? Today's lunch, Beef Rendang, Veggie soup, tempe with oyster sauce, sambal, and red rice. 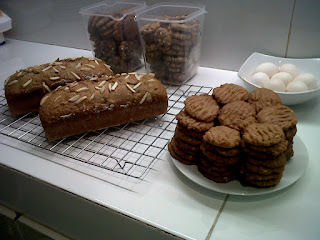 Here is what we baked today.....Peanut Butter Cookies, Almond Chocolate Chip Cookies and Banana Bread. 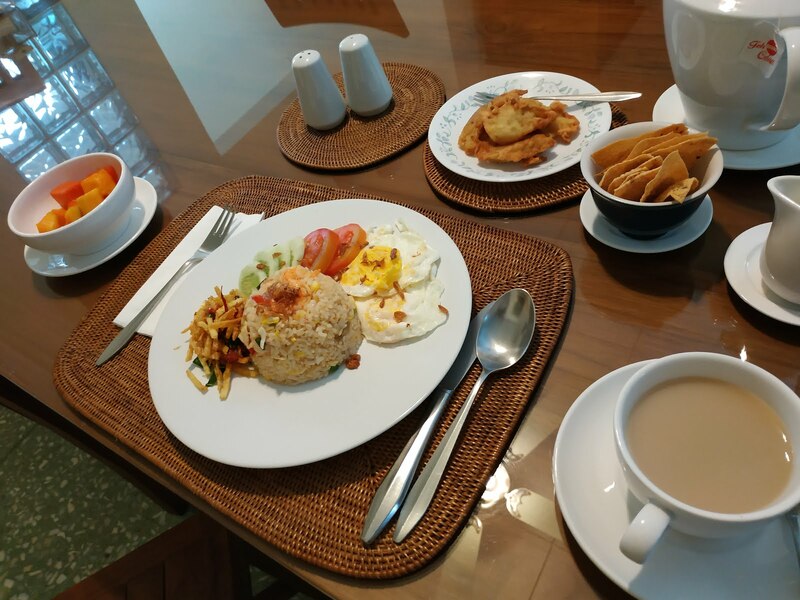 For those who would like to experience tasty and well planned Indonesian lunches or dinners prepared by our Javanese cooks who put a lot of attention into what they've prepared and presented to guests, one needs to look no further than MGH. Our breakfasts can be a nice fried rice (nasi goreng) but most enjoy our hearty western breakfasts that include freshly baked breads and muffins. 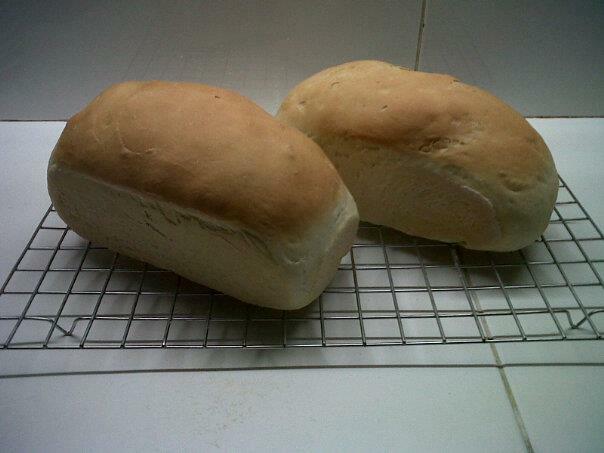 Success....great bread, good taste, texture, all of it. Yes! Finally. 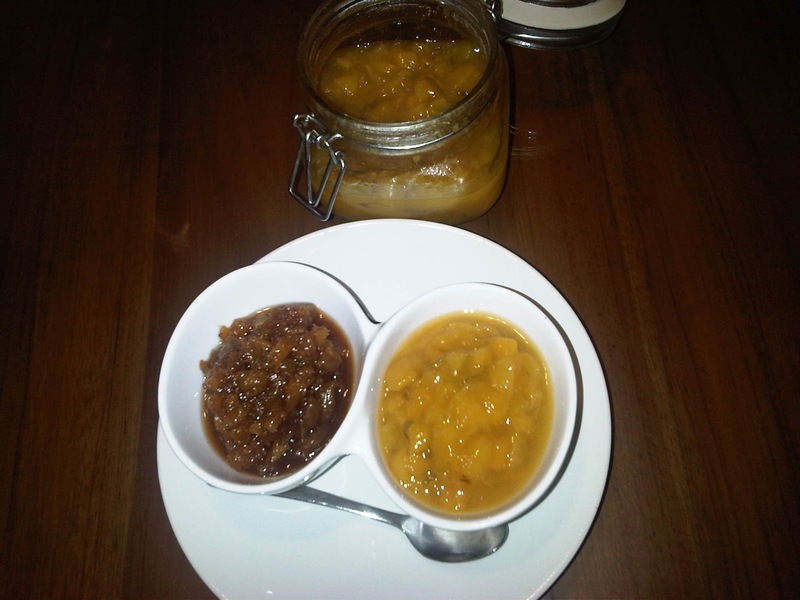 Now our guests can enjoy great bread, toasted with the fresh batch of mango jam made from our mango trees. Yum. We made Snickerdoodles today, a cinnamon sugar cookie. Wow! So good. 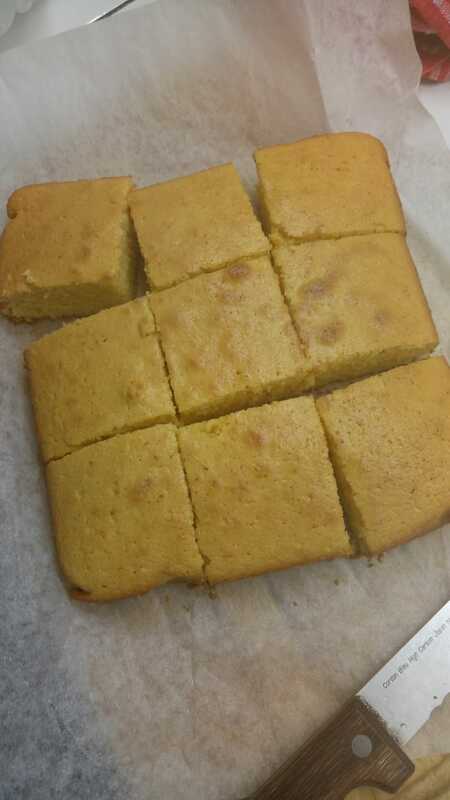 Slightly hard on the surface with a near creamy center. We love to experiment in the kitchen, always trying new things, and while maintaining our tried and tested dishes and goodies too. 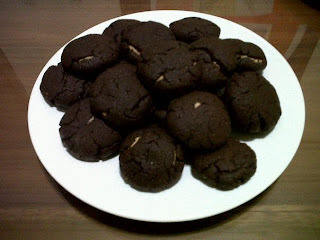 Sorry, we should have taken photos of the cookies but they went too fast! Next time, promise a photo will be shown. We went back and did the Snickerdoodles again two days later but with a new twist, we added corn meal instead of just flour to the mix. 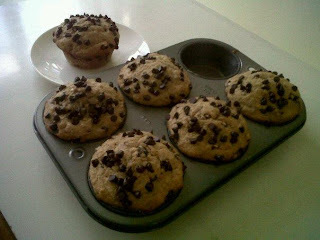 A yummy twist to our old recipe. The result certainly seemed to be liked if the empty plate was any indication! I liked the corn mealy center, with the crunchy edge but I have admit, I may just stick to the original in the future, maybe? 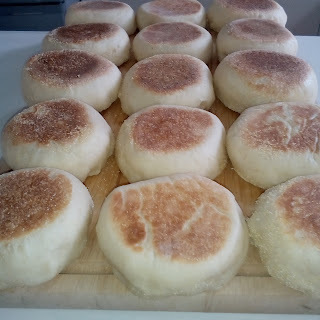 Today was bagel day, we made amazing bagels that even our baker friend from the USA raved about when he came for lunch today. They were really good. Our friend thought we made the best bagels in town. That was a most appreciated compliment! Yesterday was a Snickerdoodle day. Oh oh, I am gaining weight due to those yummy cookies. I've got to get over the olympic size pool ten minutes away from our guest house to start exercising again. 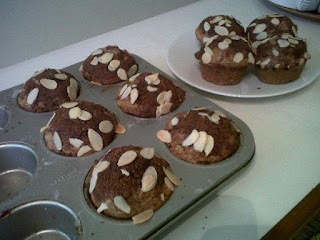 We also made our usual but good apple muffins. Too good to avoid. But today was a day for reorganizing the kitchen, we are switching over to new silverware, new dishes, bowls, glasses, all of it being replaced for a newer look. One of our helpers did a good job packing away the old things which we will use later in our private residence. Tomorrow will be bread making day, white bread which is great toasted especially when eaten with our homemade mango jam, and raisin bread, I think? I need to get out to find a better supplier for whole cracked grains and different unbleached flours for our breads I intend to make here soon. Our bagels were complimented as good as New York bagels! Wow, that is a lofty compliment. I hope our bagels are as good as that! 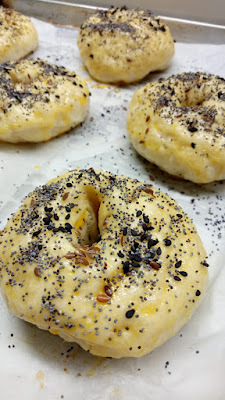 Today we made poppyseed and sesame seed bagels along with mango muffins which were also well received. We are finishing up more work on our simple kitchen, painting and completing some light renovations. I am never really satisfied and always trying to improve our guest house on many levels. The kitchen made one of my favorite dishes today, organic papaya leaf in a light curry sauce, wow, so tasty if you are into this rather unusual dish. The taste of this dish can be very bitter if you do not know the secret combo, not really such a secret, lol, but when you hit it right, oh boy, the flavor of this healthy dish cannot be beat when eaten with a nice bowl of local brown rice (this locally grown organic rice looks more red than brown but is still really good too), yum! 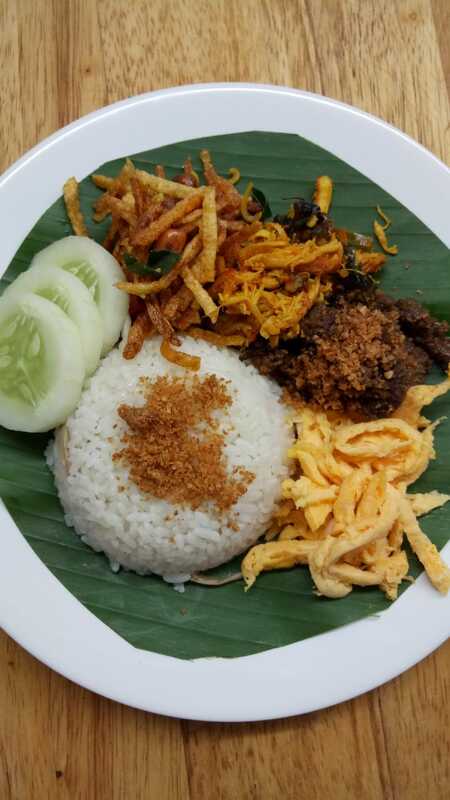 Our Javanese cook returned today. Her kitchen is not yet done so she worked her magic in the smaller guest house kitchen while we continued to paint, install the stove, hang shelves and more. I think we will need a few more days before it will be done. This new kitchen is twice the size of the smaller guest house kitchen. I like this kitchen, its a good size. We had one of my favorite dishes today, papaya leaf and cassava leaf stewed in a coconut milk, candlenut, nutmeg, etc. Papaya leaf is bitter so the cassava leaf balances up the bitterness and makes it such a tasty dish. I suppose its not for everyone but many do like it. We created a new kind of muffin tonight.....Snakefruit or Selak Muffin. 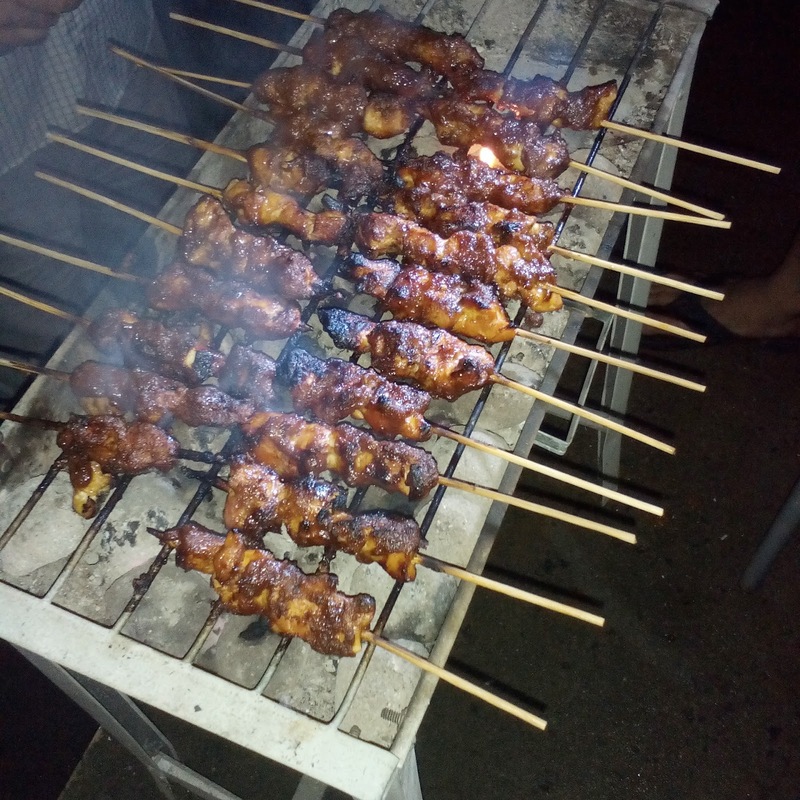 It may sound strange but I can tell you, it sure was good! I wonder how many would appreciate low gluten organic local red rice? The nutritional values are far more than a standard glutenous polished white rice. Of course white rice has a sugar content that is much higher than on our red rice. We are trying to make a "healthy choice" for our guests with our nutty tasting red rice which we may use for our fried rice dish. I love the red rice as my system cannot tolerate glutenous grains/foods. The red rice also has a much higher fiber content as it is an unpolished rice, hull is intact! The hull of the rice is where most of the nutrition comes from and fiber too. Please do comment if this sort of thing interests you. 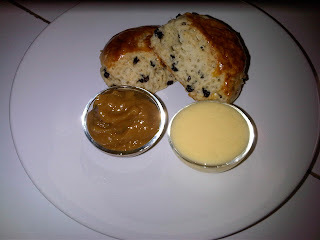 We made two types of pineapple jam today. Wow. Really good. One with lemon and cinnamon and nutmeg, the other more basic with reduced sugar. We make a yummy hamburger, full of herbs and natural seasonings, on our signature homemade dill and believe it or not, pumpkin bun, that is really amazing. We make a great veggie burger too!